Product-based listing with the eBay catalog, new fee structure for multi-category listings, and category & item specifics updates. Listing using the eBay catalog will be required for select products in the eBay catalog in order to provide buyers with a streamlined, product-based shopping experience. Category changes including additions, removals, and renames will go into effect and impacted listings will be automatically moved to the most relevant categories. When you list an item in two or more categories, the highest final value fee will apply when your item sells. Our sellers’ success starts with ensuring that buyers shop on eBay first. To meet buyers’ continuously evolving expectations, eBay is transitioning many categories to a product-based shopping experience where all listings for the same product are grouped together. By adopting the eBay catalog when you list, your items will be a part of a retail-standard experience that today’s buyers expect. Buyers will be able to easily find merchandise that meets their search criteria and quickly decide which products they want to purchase. Throughout 2018 and 2019, we will expand the eBay catalog in phases—and provide you with sufficient advance notice and tools to help you list with the catalog efficiently and effectively. With each phase, we will invite you to contribute your expertise and contribute product updates to improve the catalog and help ensure that products in the catalog are accurate and up-to-date. Today, products are already available in the catalog for you to use when you create new listings or edit existing listings for items in the product lines below. Seller Hub users can submit updates to catalog product information in the listing process by clicking the flag icon next to the product in question. Starting mid-March, check Seller Hub and My eBay to see recommendations for any existing listings that you will need to update to comply with the new requirement. By the end of April, associate your existing listings to the eBay catalog so that your inventory will continue to be visible to buyers. See FAQs for step by step guidance. Starting in May, when you attempt to modify existing listings, relist existing listings (including Good ‘til Cancelled), or create a new listing for an item in any condition within the Phase 1 product lines, and you do not associate it with a product from the eBay catalog, you will be unable to complete the listing. For both new and existing listings in product lines with multi-variations (multi-SKU), you will be required to provide a GTIN (UPC, EAN, or ISBN) for each variation. The new shopping experience will only display listings that are associated with a product in the eBay catalog. Later this year, we will expand the eBay catalog in additional phases. Look for more information in future Seller Updates. 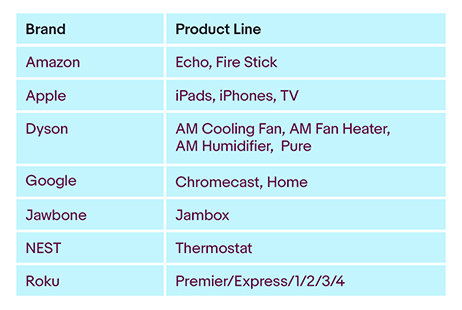 Product lines that will require catalog adoption before end of April 2018. Search results grouped together by product to help buyers quickly find the specific product they are seeking. Shows best options for the product along with reviews. The eBay catalog is a centralized repository of product information that helps buyers and sellers reach a common understanding of what is for sale. How can I associate my listing with a product that’s in the eBay catalog? Product identifiers are unique numbers or codes for products that help buyers recognize and find them. Most new, branded products have unique product identifiers. These can include an item’s Global Trade Item Number (GTIN)— such as UPC, EAN, or ISBN as well as the combination of brand and manufacturer part number (MPN). A GTIN (Global Trade Item Number) is a unique number that identifies products and services. GTINs can include an item’s Universal Product Code (UPC), European Article Number (EAN), or International Standard Book Number (ISBN). When will I need to start using the eBay catalog? What if I discover inconsistent information in the eBay catalog? Seller Hub users can submit updates to the catalog information for a product while they are listing by clicking a flag icon next to the product in question. In addition, if you spot inaccurate information in the eBay catalog you can email us at sdsupport@ebay.com. Will I need to use the eBay catalog for multi-SKU listings? Yes. In order to comply with the new catalog requirements, you are required to provide a valid GTIN (UPC, EAN, or ISBN) for each variation in multi-SKU listings within the initial product lines. Later this year, we will expand this requirement to more categories and product lines. If I'm selling my items in bundles, will I need to use the eBay catalog in the select categories? Manufacturer bundles that are sold in a single package usually have a dedicated GTIN (UPC, EAN, or ISBN) associated with them and should be found in the eBay catalog. For seller-created bundles that do not have a clear primary product and there is no clear relationship between products in the bundle, don’t list the items as a bundle, but create separate listings for each item instead. In all of these cases, apart from selecting the right product from the catalog, you must also set the “Bundle Listing” item specific to “Yes” and clearly itemize what’s included in the bundle in the item description field. If you search by GTIN (i.e., EAN=888462563048) instead, product e4 will display as the only result, which should then be selected. What do you mean when you say my listings won't show up in search? 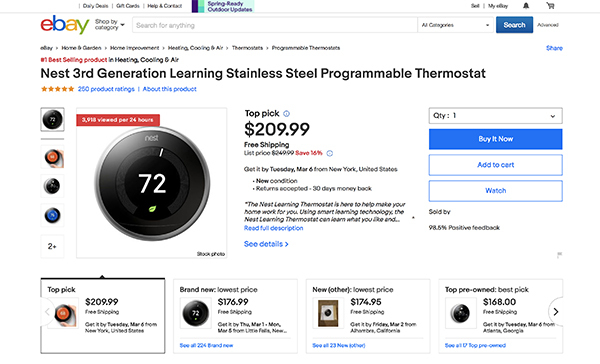 Under the new product based shopping experience, listings that have not adopted a product in the eBay catalog for the product lines above will not display in the search results page. Yes. This requirement applies to all item conditions (i.e., new, used, refurbished), as well as customized items, bundles, and lots. On a product page, when multiple listings of the same item have been associated with products from product lines in the eBay catalog, your items will compete with other sellers’ listings for the chance to be featured in the top pick or the primary position on the product page. You must be at above standard, ensure your items remain in stock, and offer competitive shipping and pricing to improve your chances of winning the top pick. How do I associate my listings with the eBay catalog? Navigate to the listing flow. Search for products using Keywords, Title, MPN, or GTIN (UPC, ISBN, EAN). Select the product that best matches the item you are selling. Select condition and complete the rest of the listing form. Enter your Title or select a Category. Select the attributes that your items vary by and select 'Continue'. In the variation combination table, enter the GTIN (UPC, ISBN, EAN). Select 'Save and Close' and complete the rest of the listing form. Locate the listing you would like to revise. Select 'Revise your item' or 'Edit'. Click on the ‘Find a product’ link in the top right. You can use the column headers in FileExchange to associate your listings with products in the eBay catalog. For single variation listings, use the Product:EPID header and the appropriate EPID value for each listing. For multi-SKU or listings with variations, use the Product:UPC, Product:EAN, or Product:ISBN fields for each variation of the listing. For more information on formatting and header prerequisites, please review the File Exchange Advanced Instructions here. Open/Create the MIP flat file. For single variation listings, add a column with a designated EPID and provide the number that represents your item in the eBay catalog. For multi-SKU or listings with variations, include the correct values for UPC, EAN, or ISBN for each variation in the file. Upload the flat file to associate your items with the eBay Catalog. Select the appropriate category. For example: (DVDs & Movies > DVD, HD DVD & Blu-ray). Under Details, search using a keyword or the product's assigned identifiers (UPC/EAN/ISBN) to return a list of product matches. Select the product and click on Next button to enter, review, and provide additional Item Specifics. Once Item Specifics are selected, click on the Done button to save the product details. 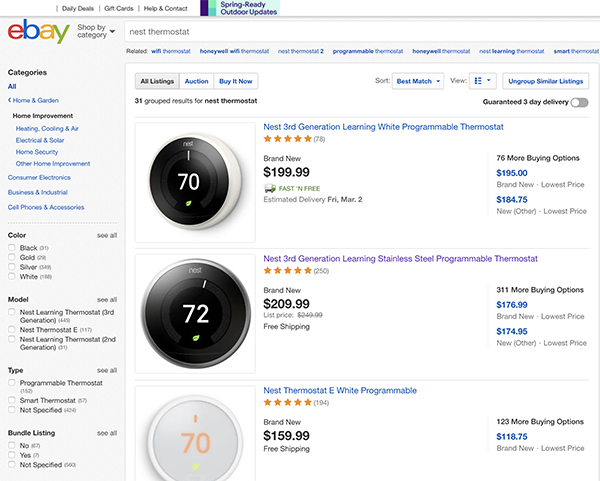 Review the 'Product Based Shopping API Playbook' for detailed instructions on how to associate your listings with products in the eBay catalog. Contact your 3rd-party provider to find out more on associating your listings to an eBay catalog entry. Category changes including additions, removals, and renames will go into effect April 10, 2018 to provide a more intuitive buying, selling, and search experience on eBay. If you have a listing in a category impacted by these changes, eBay will automatically move your listing to the most relevant category. Click on the category name below to view category and item specifics changes. Why is eBay making these changes? Updates to categories and item specifics will create more intuitive buying, selling, and search experiences and bring eBay into closer alignment with industry-standard classifications. What if I don't use the new and recommended item specifics in my listings? If you exclude recommended item specifics, your item won't surface to buyers when they use the left-hand navigation refinements. When can I start listing in the new or revised categories and using the recommended item specifics? The new and revised categories will go into effect April 10, 2018. How can I find out which item specifics changes will impact my listings? Check Selling Reminders on your My eBay All Selling page or the new Listing Improvement section of the Selling Manager summary page to identify listings that lack item specifics. You can easily edit those listings in bulk. Will buyers be able to filter by the custom item specifics I create? Only eBay-recommended item specifics appear as a search filter for buyers. Your custom item specifics appear on the View Item page only. How do I edit my listing when the item specifics in my category change? From the "Actions" menu, select "Edit listings"
From the "Edit" drop-down menu at the top of the page, select "Item specifics"
From the drop-down menu at the top of the next screen, select "Edit listings in bulk"
What can I do if my listing isn’t moved to the most appropriate category? If your listing has not been automatically moved to the most appropriate category by April 10, 2018, you'll need to revise the listing and select a category that's better suited to your item. How will category updates affect my fees? When your items are moved to a new category that has different final value fees, the final value fees of the new category apply. Insertion fees and advanced listing upgrade fees will be based on the original category. In cases where the original category has merged with a category with different fees, you'll be charged the insertion fees and advanced listing upgrade fees for the original category until the listing ends. Final value fees for the new, merged category will apply. Find out more about eBay selling fees here. How do I provide feedback on the new category changes? Please email us at taxonomy@ebay.com if you have questions about the changes or wish to submit suggestions. If I have an older version of the eBay mobile application on my smartphone or iPad, will this requirement still apply to me? Yes. The new requirement will apply to all sellers regardless of which selling tool you use. We strongly encourage you to keep your eBay application on your mobile device up to date to avoid being blocked while creating or managing your listings. The latest app will guide you through a simple flow that lets you pick a product and complete a listing in minutes. What are the best practices when listing new items? Always use eBay-recommended item specifics such as material, brand name, manufacturer's part number or product code to optimize visibility of your listings on eBay and search engines. When you update your listings, save time by using these bulk editing tips and tools. We encourage you to list your items in one "best fit" category rather than multiple categories to ensure that the most accurate and helpful search results are returned in buyers’ searches on eBay. Starting May 1, 2018, when you list an item in two or more categories and there is a difference in final value fees between the categories, the highest final value fee will apply when your item sells. Single-category listing is a retail standard and we encourage you to list your items in one “best fit” category to help buyers achieve the most accurate and helpful results in their searches on eBay. Does listing in two categories improve my listings visibility? No. List your items in one "best fit" category to help buyers achieve the most accurate and helpful results in their searches on eBay. How will I know which final value fee will be charged? Starting May 1, 2018, when you list an item in two or more categories and there is a difference in final value fees between the categories, the highest final value fee will apply when your item sells. How will this impact Good ‘Till Cancelled listings? Good 'Til Cancelled listings renewed on or after May 1, 2018 at 12:00 a.m. Pacific Time will be impacted by the above change. How do you calculate final value fees now? Final value fees are currently based on the primary listing category.